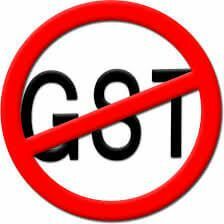 There has been talk recently that the coalition government is considering lifting the rate of GST to 15%. The rise in GST is projected to raise at least $30 Billion in additional taxes for the Federal Government which would then be distributed to the states. The tax is meant to fill the budget void left over from the collapse in commodity prices. Even though both former PMs Kevin Rudd and Tony Abbot were adamant that the resource boom would last for decades. The rise in GST to 15% would effect the price of all items as very few things are exempt from the good and services tax. This would include jigsaw mats. Where you call the puzzle mats, gym mats, EVA mats or and other name they would not prevent them from going up in price. Even though Ezy mats has kept the price of their jigsaw mats low in face of the falling Australian Dollar, the rise of the GST to 15% would cause the price of jigsaw mats to rise by at least 5%. Lets hope that Malcolm Turnball comes to him senses and find another way to fill the budget gap. Whilst we could handle the rise in the price of EVA jigsaw mats (even though it is an essential item for the training public) the rise in other essentials would dis-proportionately effect the poor.